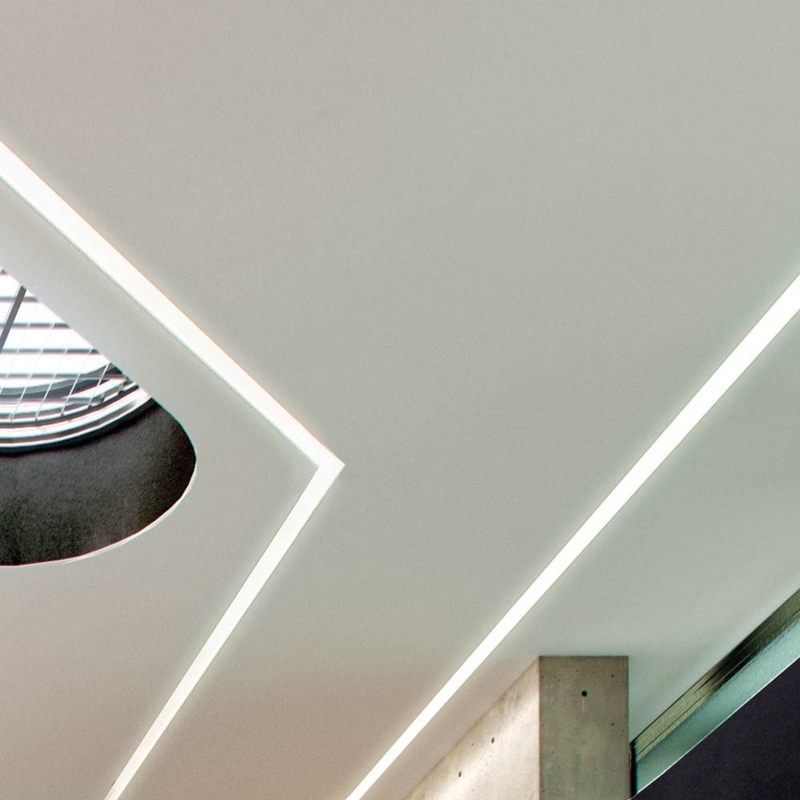 Ceiling-recessed lighting in paintable gypsum plaster. 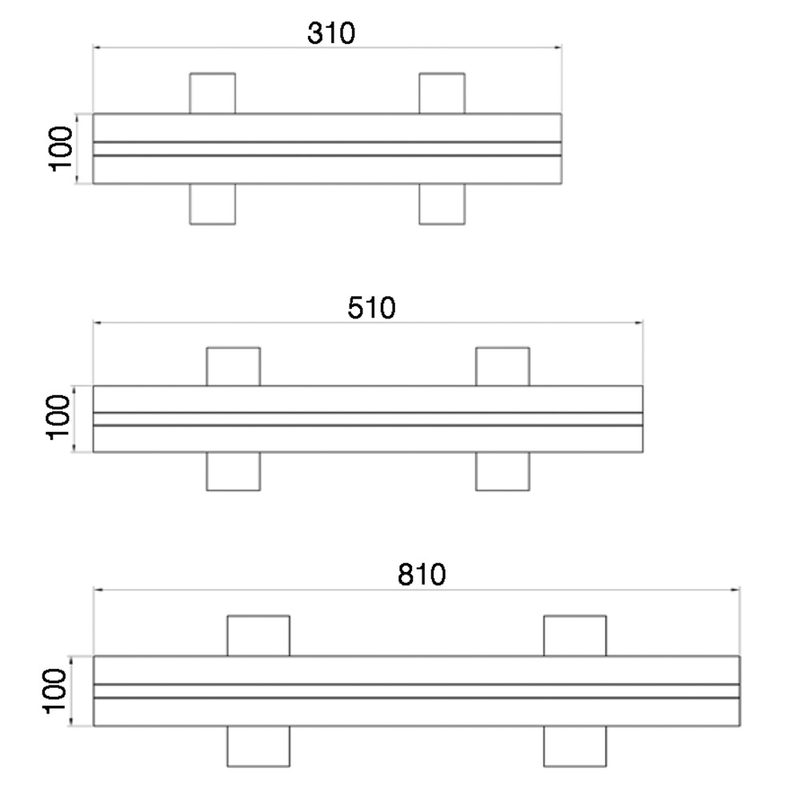 Developed to host LED strips of different models. 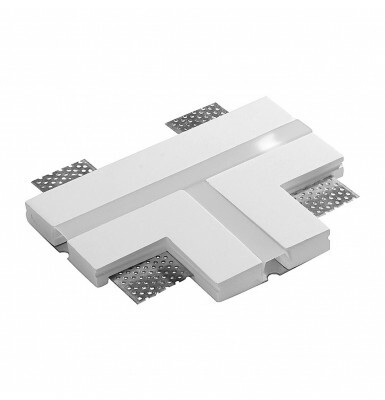 The fixing of the ceiling lighting is facilitated by the embedded wings of metal mesh in the body. 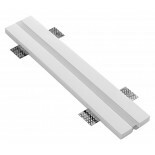 Designed for either individual installations and creation of multiple lines of cut light in ceilings or walls. 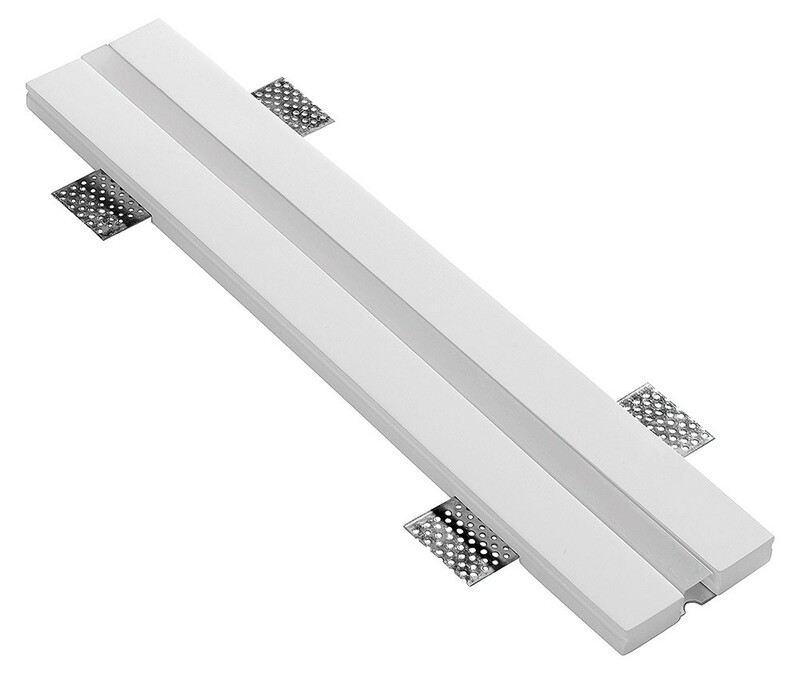 The LED strip is easily applied after installation.